A small animal hospital will also be expanded, which combined with the classrooms and laboratories will offer the opportunity for advancements in teaching, interdisciplinary cooperation and research ingenuity at the college. The project signifies an important expansion for the school, and is expected to play a significant role in recruiting top-notch faculty, staff and students. The $120 million needed to build the facilities will be donated by the Permanent University Fund, which was established in the Texas Constitution of 1876 as a public investment that creates money for the institutions at Texas A&M and the University of Texas System. University administrators are no doubt excited about the contribution. While visiting the site, the American Veterinary Medical Association Council on Education and Texas A&M administrators remarked that the school needed to improve their teaching facilities to keep up with rapid expansion in the veterinary field. 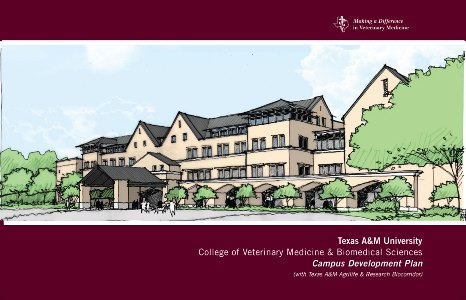 "The new facility represents a tremendous opportunity to bring the latest in teaching technology to the CVM (College of Veterinary Medicine and Biomedical Sciences) and to Texas A&M University," said Dr. Eleanor Green, Carl B. King Dean of Veterinary Medicine. In regards to the date of completion, Green seemed hopeful. "In 2016, we will be celebrating our 100th anniversary. It would be outstanding if we were able to step into our new facilities as we step into a new century." Now that the buildings have been approved for construction, administrators of the College of Veterinary Medicine and Biomedical Sciences will start the process of planning and designing the facilities. 2016 is not far away, and there is still a lot of work to be done. Once construction is complete, however, science research at Texas A&M University is sure to be greatly enriched. Biotechnology Calendar, Inc. is a full-service science research marketing and events-planning company that is in its 19th year of hosting trade shows at top research universities nationwide. If you are a science researcher or lab supplier looking to network with others in your field at Texas A&M University, consider attending our annual trade show. We also encourage you to check out our 2012 calendar of events at other universities across the country.